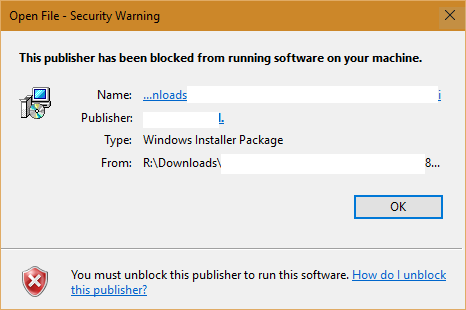 Fixed-“This Publisher has been Blocked from Running Software on your Machine” In Windows 10:- The This Publisher has been Blocked from Running Software on your Machine error is a very common error experienced by most of the Windows users while trying to install a new application. This issue can be solved with the help of two simple solutions. One is by installing the blocked application via the Command Prompt and another is by unblocking the publisher of the blocked software in the Internet Options. Dive into the article to learn how to efficiently tackle the This Publisher has been Blocked from Running Software on your Machine error in Windows. Let’s say the setup file of the application that gives the This Publisher has been Blocked from Running Software on your Machine error is in the E drive as shown in the following screenshot. To be precise, it is located at the path: E:\Set up files\aida64extreme280.exe. Now follow the steps below to install this application through the Command Prompt. 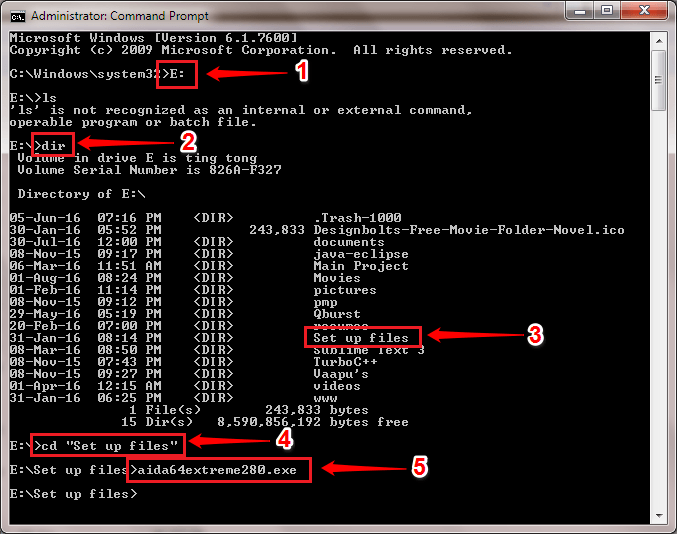 Open the Command Prompt in the administrator mode. For that, start typing in cmd to windows search box. When the Command Prompt appears in the search results, right click on it and choose Run As Administrator option. As next, you have to navigate to the location of the setup file which is being blocked. For this, Just type the name of the directory followed by : and hit Enter key. For example, in my case my setup file is in E: directory, so i have typed E: and pressed enter. Now, type dir and hit enter. This will list all the files in the E: Directory. 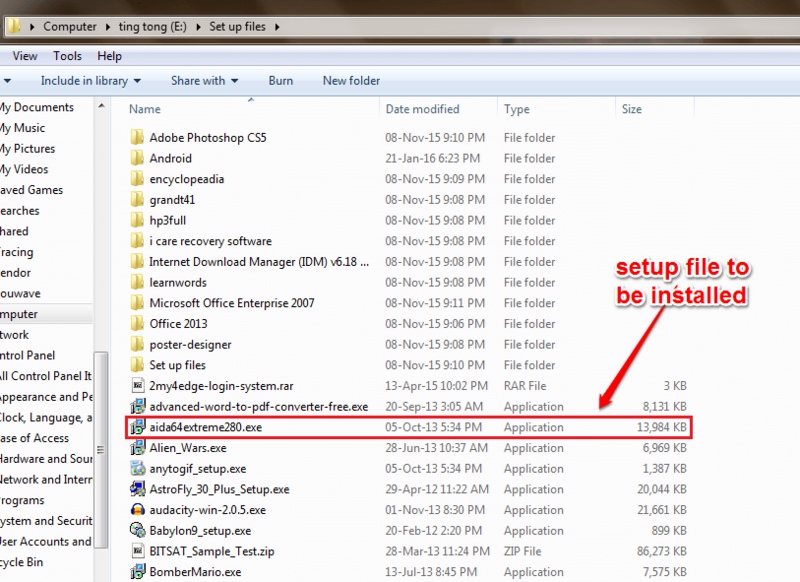 Lets say my software is kept in folder named Set up files, so to navigate to the location, we will type cd Set up files. In the screenshot given below, I have navigated to E:\Set up files\aida64extreme280.exe. Refer to the steps given after the screenshot for detailed explanation. 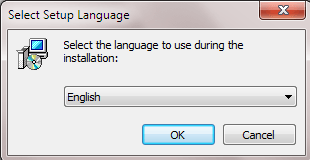 Now, just hit enter key and installation will continue. 1 . E: changes the current working directory to E drive. 2. dir command lists all the files and folders in the current working directory. 3. 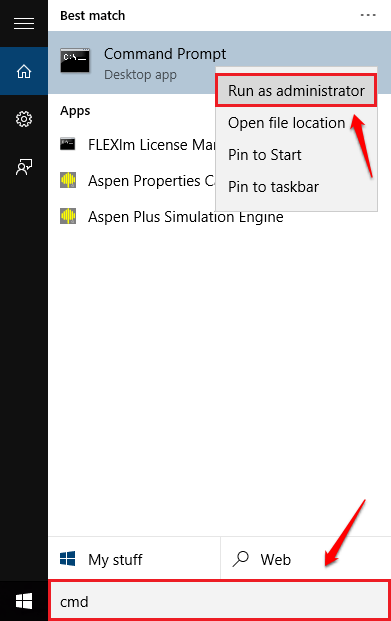 Locate the folder in which your setup file is present. In our case, it would be Set up files. 4. Now change directory to that folder. For that, use cd command. 5. As next, type in or copy paste the name of the setup file and hit enter key. There you are! Now your installation setup would open without any issue. Open Control Panel. For that, press WIN+R keys together. 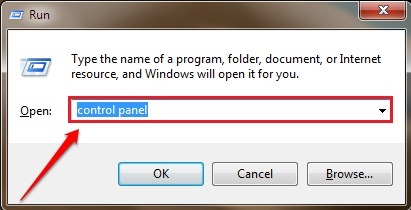 When the Run dialog box appears, type in control panel and hit enter key. 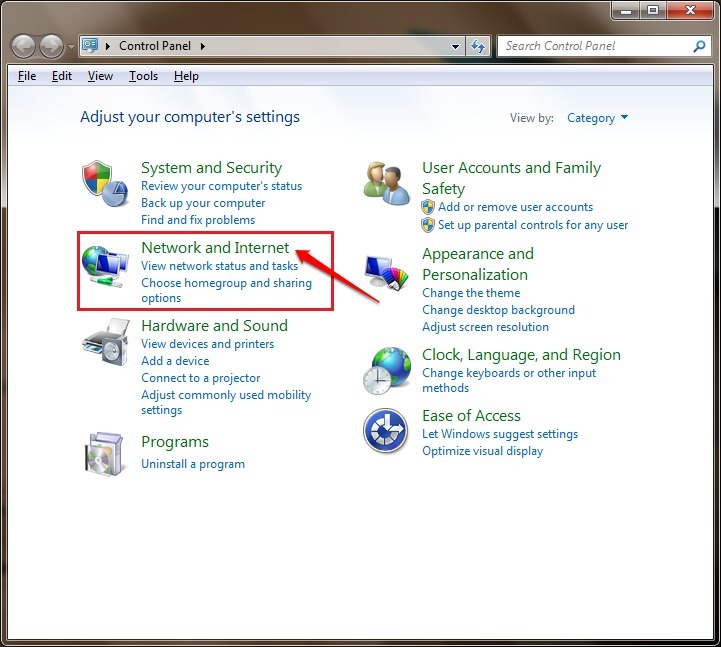 As next, click on the Network and Internet option. The next step is to click on the Internet Options. 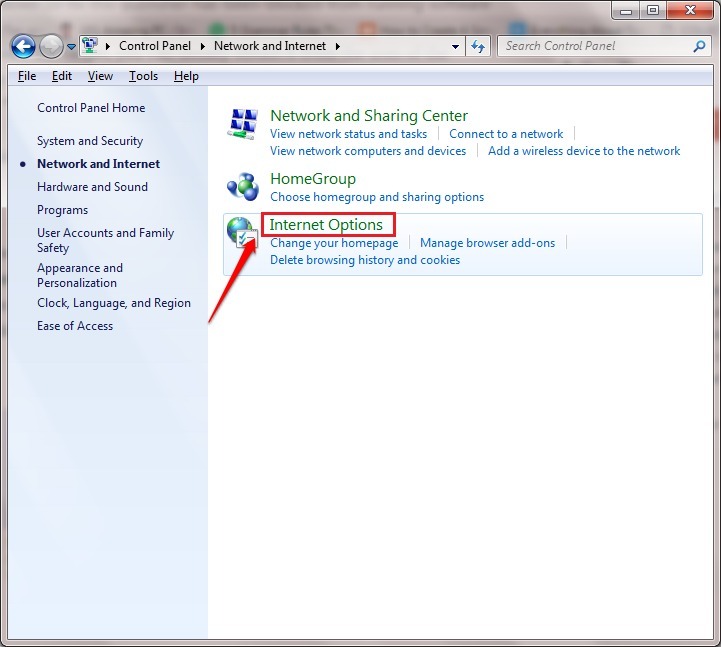 This would open a new window by the name Internet Options. 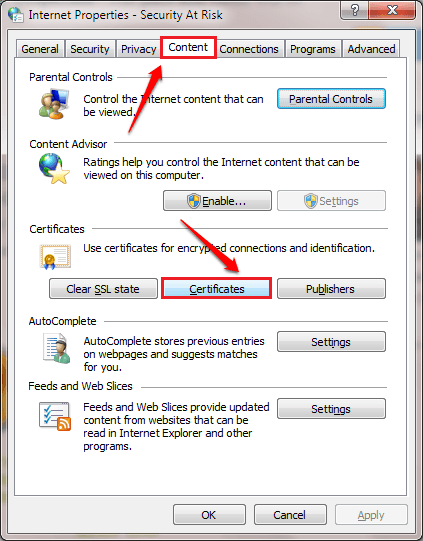 Click on the Content tab and then on the Certificates button as shown in the screenshot given below. This will open a new window named Certificates. Use the small arrow at the right side to scroll towards the right most end. 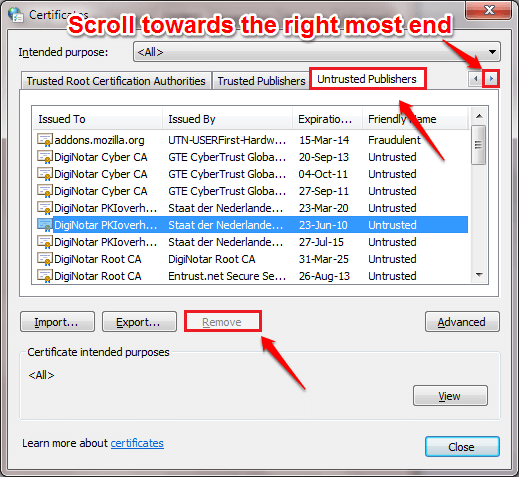 Then click on the tab by the name Untrusted Publishers. Here you get to the see all the blocked publishers. Find the publisher that you want to unblock and click on it. As next, click on Remove button. You can find the name of the publisher of your blocked application from the error window.